Last week I talked about the realities of a flexible work schedule—about how this often-idealized arrangement comes with its own set of challenges. This week, I want to talk about the benefits of a flexible work schedule, both for professionals and their employers. I’m basing these insights not on statistical data, though there’s plenty out there to show that flexible schedules can be good for everybody, but rather on my own experiences. 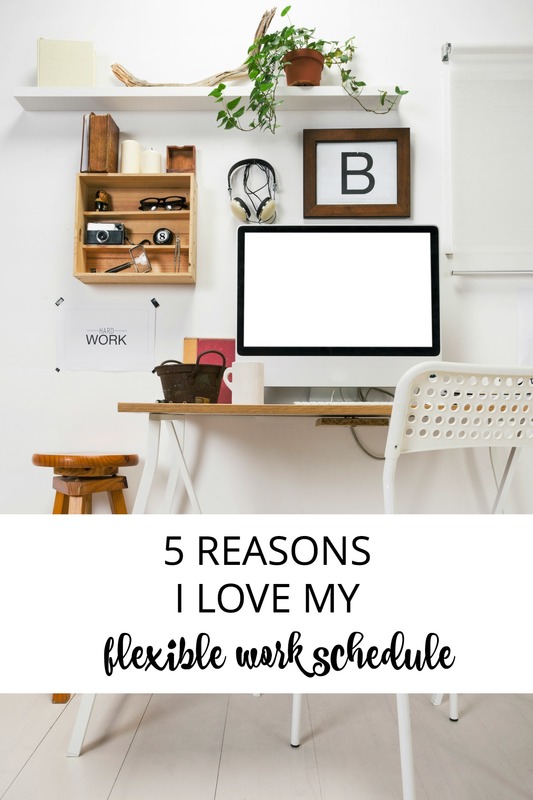 I’ve had a flexible work schedule for nearly seven years, and it’s been great in so many ways. Want to propose your own flexible work arrangement? Get professional advice and pre-made proposal templates from Work Options, one of our preferred affiliates. The benefits to me are pretty obvious: I can do a job I love while being more available for my family. On most days, I get to take my children to school and pick them up in the afternoons. If a snow day or minor holiday pops up, I can usually weather it without having to scramble for daycare. And I enjoy being more in control of when and how I work. The folks I work with get some pretty big benefits, too. 1. I can multi-task like whoah. In last week’s post, I described a mom struggling to take a conference call and care for a poop-soiled toddler at the same time. I worried afterward about giving the impression that moms with flexible work schedules are harried and distracted. To be fair, I do advocate plenty of child-free work time in order to avoid the craptastic conference call scenario. But I also want to point out that it takes special skills to handle work AND the kinds of challenges that can arise while caring for kids. And isn’t that a plus in today’s lightspeed-fast, multi-channel culture? When work gets busy and/or intense, I can break it down and get it done. Not to say people in 8:30 to 5:30 office jobs don’t do their work and do it well, but when you know you’ve got 8 hours to get something done, it can be easy to chip off a half-hour here and there to surf the ‘net or chat with friends. I’ve got the same deadlines, but less time if I want to make school pick-up. So when it’s work time, I hit the ground running and don’t let up. I also don’t have the distractions of a typical office when I’m working from home. It’s just me, myself and I, giving it our all. 3. I can work when I work best. Even when I worked exclusively in an office, I often saved important work—the kind that demanded deep thought—to do at home in the evening. I’ve written nationally published novels at night because that’s when I’m best able to relax and concentrate. On days when I do have my kids at home I handle easy things, like answering email, during the day. Then I put in several hours of meaty work later, when they’re in bed. Everybody wins! 4. I REALLY appreciate the people I work for. When people are happy—when they feel trusted and valued and able to do a great job both at work and at home, then they’re more loyal, more adaptive, and, I like to think, more likely to continue doing great work. In fact, a recent survey found many people would take less pay in exchange for a more flexible work situation. I’m not advocating that companies start slashing salaries, I’m simply highlighting that happiness in the workplace is just as, if not more, important than the size of a paycheck. 5. I take nothing for granted. I know I’m fortunate, and I work hard every day to make this arrangement a benefit to everyone. There may come a time when I go back to a more traditional schedule, and I’ll make that work, too—as I’ve said, there are plusses to being in an office for a set period of time each day. I loved those jobs when I had them. In the end, it’s about finding an environment that makes you feel stimulated, appreciated and able to balance your professional and personal life. Whatever your work situation, if you have those things, then you, and your employer, are going to be in good shape. What do you think is the most important benefits of a flexible work schedule? Uh-oh, Is My Kid a Bully? You are a model spokesperson for flexible work arrangements, Sara. I’m so glad you wrote this! Aw, thanks, Susan! Between that last post and this one, I wanted to present a balanced view.